We all know that too much stress can be harmful to our mental and physical health. So, to celebrate Stress Awareness Month this April, let’s focus on creating some new, healthy habits to reduce our stress and anxiety levels. Spending quality time with our pets certainly helps and maybe you’ve even wished you could trade places with your dog during stressful times in your life. It may seem like our pups have it made, going about their business with not a care in the world while all their needs are being met by you. But the truth is, our pets do feel stress sometimes and too much of it can affect their health and well-being too. Is your dog stressed out and you don’t even realize it? That’s quite a list of symptoms ranging from very subtle to severe, but any behavior that’s not normal for your dog could mean they’re feeling stressed. There are obvious stress inducers for most dogs, like visiting the vet, groomer or staying at a kennel. Traveling or changes in routine can also create anxiety for our pups. Other common culprits are loud noises, thunderstorms, physical pain or trauma and staying home alone. Dogs are also affected by stressful events in our lives, like moving to a new home, divorce or new family members coming into the home (human or other pets). Other events that can trigger anxiety might not be as obvious. Boredom, exuberant play sessions, overexcitement, meeting new people or dogs and socializing puppies are a few examples of situations where you might not realize your dog could be feeling stressed. There’s no way to avoid all stressors but there are ways to limit excess anxiety for you and your dog. Here are ten easy ways you can work on it together! Enjoy some downtime together by petting your dog or giving him a relaxing massage. You’ll soon notice that both of you are feeling much happier and less stressed. You could even try meditating with your dog or practicing mindfulness exercises. To better help your dog, check out TTouch exercises or the helpful advice in Grow Young With Your Dog. Physical exercise is very effective for releasing endorphins and reducing stress in both people and their pups. Whether you take a walk or head outside for an active game of fetch, moving together will make both of you feel healthier and happier. Exercise is especially helpful for dogs that suffer from separation anxiety and don’t forget about providing mental stimulation exercises and games for your dog too. Whether you’re yelling at your dog or vocalizing frustrations about your day to someone else, take a break and practice some deep breathing exercises for a few moments to calm down. Yelling at your dog only creates confusion and breaks down trust. Rather than repeatedly saying “No!” to your pup while shaking your finger in his face, work on positive, productive and peaceful approaches to dealing with his frustrating behaviors. You can eliminate most of the frustration and stress from your dog’s unwanted behavior by working more on training so he understands your expectations and will demonstrate good manners. Also, be consistent about enforcing the rules of the house so your pup doesn’t get confused or stressed. Step in and protect your dog in situations where he might feel uncomfortable or anxious. Many dogs get stressed when meeting strangers or energetic children. 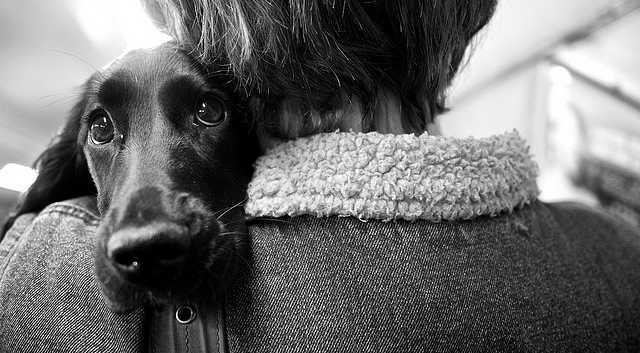 Others may feel anxious when forced to greet or interact with dogs they may not like. By preventing a negative interaction, you’ll both avoid unnecessary stress. If you’re socializing a puppy, work at a pace that’s comfortable for them so they don’t feel pressured. Lie down next to your pooch and enjoy an afternoon snooze together. Just remember to let sleeping dogs lie while they’re dozing. 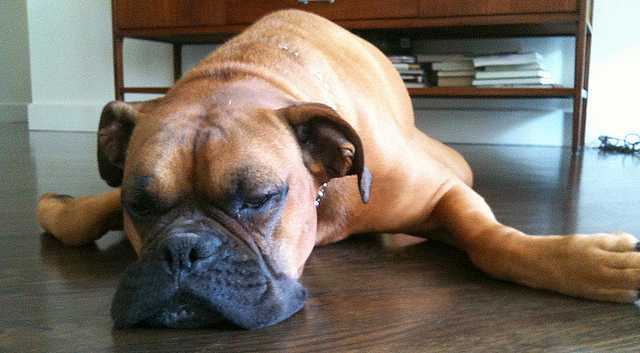 It can be stressful on a dog to suddenly be jolted awake from a deep sleep. When you’re feeling overloaded or anxious, your dog may pick up on your stress. Whether they shy away from you or want to jump in your lap, take your dog’s reaction as a cue to practice some relaxation techniques. If there’s a lot going on in your household at the moment, make sure your dog has a safe place to retreat to and relax. As much as we sometimes like to break out of a rut, routines help keep us grounded and our pets especially feel more comfortable when they have a predictable routine. Major disruptions to a dog’s routine can be very stressful. Don’t fight nature by expecting your pooch to act more like a person than a dog. Accept your pup and all of his canine qualities and you’ll be less stressed when he exhibits those typical dog behaviors like barking, chewing, digging, chasing cats or even being an opportunist around food. Work more on training and find desirable or creative outlets for unwanted behaviors. Strive to create harmony through balance. Too much of anything, even good things, can cause stress. For example, overstimulating your dog with too much excitement can cause excess adrenaline and stress. Too much exercise or activity can be just as bad as too little exercise and can lead to obsessive behaviors. Make sure your pup has plenty of downtime and relaxation as well as fun and exercise. Every dog is different. Just like some people suffer more from anxiety, so do some dogs. If your pup is unusually anxious and none of these methods help, check with your vet to make sure there’s not a medical reason for their symptoms of stress, especially if you have an older dog that might be experiencing pain from an injury or arthritis. Consulting with a holistic vet can offer additional treatment options for calming anxiety, like herbal and nutritional supplements, aromatherapy, acupuncture and more. I hope you take some time this month to focus on lowering the stress level for both you and your dog. Stress will always be a part of our lives but we can keep it at a healthy level by practicing these and other relaxation methods. 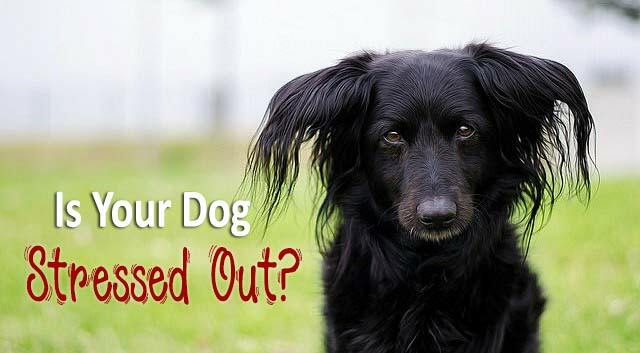 Is your dog stressed out? Share your thoughts and stress-reducing techniques in the comment section below! Aside from me stressing out at the vet, we are rarely stressed. At our house it is the human that stresses out all the time. We do agree napping with her helps 🙂 Sadly many dogs are stressed and it is sad to see as many humans don’t do anything about it. Great article! Very informative. Vet visits are the number one stressor I see in my canine clients. https://bridleandbone.com/blog/2017/2/1/how-i-trained-my-dogs-to-love-the-vet. Massage can also help destress dogs as well! I see it every day. I loved your post, Heather! I never thought about going early to help desensitize Haley but I’m going to start doing that! Thanks for sharing your great tips! thanks for this post right now, I have one of my puppies back for some training and she is really stressed out. Something happened to her after she left my house and trying to fix that. I hope the training is coming along well. It’s sad when that happens but I’m glad she’s back home at least for awhile so she can overcome her struggles and stress. Wishing you and her all the best! Great article. My pups only seem stressed during thunderstorm or fireworks. It’s interesting that Rita was MORE stressed with you there. I guess the guard instinct kept her on alert. Honey is generally a pretty relaxed girl. But I observed a sign in the vet’s office that didn’t make your list–she was leaving sweaty foot prints on the tile. Everything about her looked relaxed. But the perspiration from the pads of her paws told me she wasn’t quite as relaxed as she seemed. I’m so glad you mentioned that, Pamela! “Sweaty paws” was originally in my bulleted list but it must have gotten accidentally deleted when I was editing the post. That’s one of the most obvious signs when Haley’s stressed too. What a great post, Elaine. I’m going through the process of separation currently which will culminate in a divorce, and things have been stressful from time to time over the course of the last year. I’ve been doing my very best to snap myself out of it whenever I actually notice that I’m feeling stressed, but sometimes it takes a little longer than I would like. The pups have been fairly good about it all, but I noticed that Missy will have a softer stool/diarrhea whenever I’m stressed. She’s such a sensitive pup. I know both of my dogs showed signs of severe stress this winter when I was just home from the hospital with my broken leg. Lots of smacking and licking and shaking, poor kids. We took many naps together, and that helped a lot. I also found that working on their basic obedience commands (sit, stay, shake) helped them to feel successful at something, and it helped them to focus, both of which made their stress levels seem to dip. The Boys are not stressed, but I do worry about them when there’s significant change in their/our lives. Most recently we moved again, it was a self move (only 30 miles away) so it was hectic, unorganized and chaotic. I made it a point to spend as much time as I could with them, and they seemed to have weathered it well. Your suggestions are spot on. I will share this post. So many can benefit. Thanks so much for sharing, Cathy! I was thrilled to read your post about your move to the family home. You’re going to love remodeling and making it your own and also having the family history and memories too. Fireworks stress out Raven and Linus. When fourth of July rolls around I try to do a few of the tips you mention above to try and de-stress the dogs before the evening. Mental and physical exercise are probably my two favorite de-stressers for both me and the pups. The exercise option is perfect and also a great combination with any of the other relaxation techniques too. The last two years, we took Haley on mini-trips and hikes over the Fourth of July holiday and it was really nice to do something different for a change and get away from all the commotion. These are wonderful ways to help alleviate stress in dogs. Exercise and running through basic training usually helps my dogs, especially when treats are involved! They also relieve stress if I give them a nice big bone to chew on. I know that doing projects in our house can stress them out, they know something’s going on but they don’t know what it is. Moving was very stressful for them too, so I took steps to make it less stressful for them. I recently adopted a 3 y/o dachshund who was rescued from an environment where he was attacked by some larger dogs. His wounds are healed physically but emotionally he is very stressed still. I have been keeping a regular routine and working on developing trust. He has become very attached to me, however he still whines a great deal, shakes and yawns very often. Around other dogs he becomes defensive or barks loudly, if these dogs are larger he will try to flee or hide behind me. He is also fearful of new people and places. Can you provide me with any tips on how to help my dog become less stressed? Too much stress is equally harmful for both humans and animals. 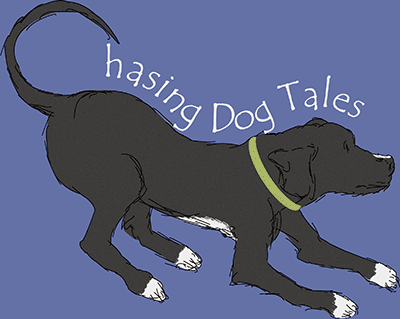 Our dogs can be sometimes really stressed out and the reasons may vary. Poor soul. They can’t speak to us their problems, but we can at least understand them. They show signs and we can do something about it. There are plenty dog stress relief treatments accessible but medication only won’t help. We need to ensure that they don’t feel stressed ever again by making sure that everything around them is fine and they always stay happy.